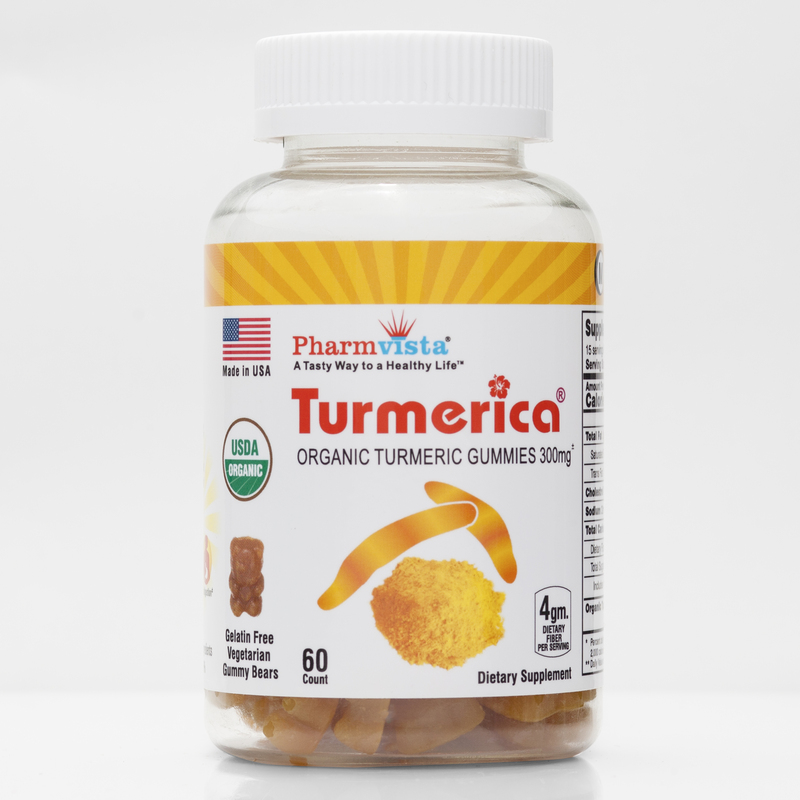 Turmerica Gummy Bears are made with only the best organic and natural ingredients such as, Organic Turmeric Powder, Organic Cane Sugar, Organic Tapioca Syrup, Purified Water, Seaweed Extract, Natural Colors and Flavors. 100% Vegetarian, Kosher & Halal Certified Gummies*. High 4gm of dietary fiber per Serving*. 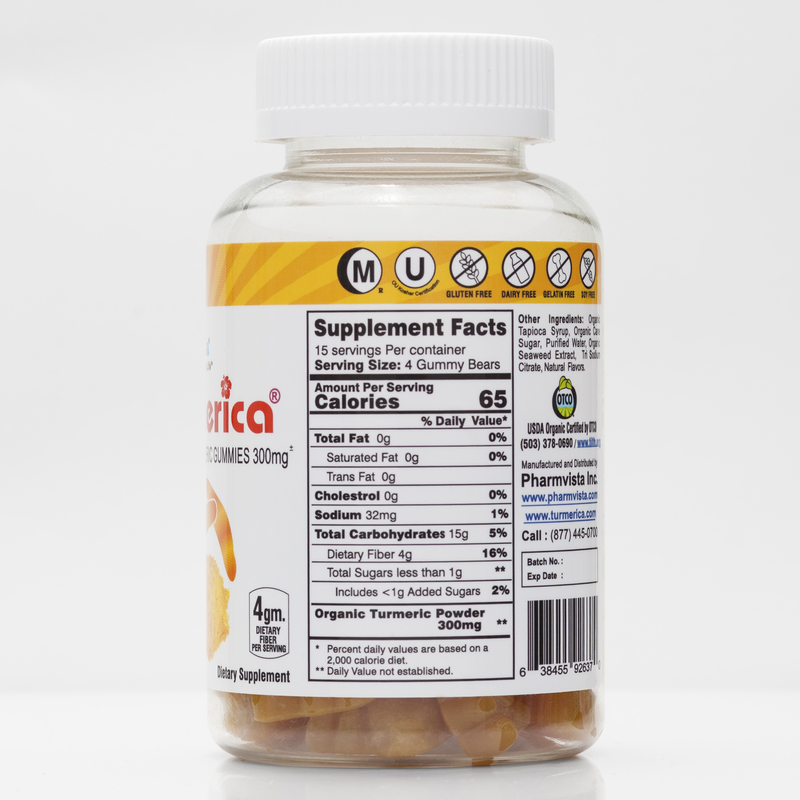 Gelatin Free, Gluten Free, Dairy Free and Soy Free Gummies manufactured in a cGMP facility in the USA. Gelatin Free, Soy Free, Gluten Free and Dairy Free product. Dosage :- As a Dietary Supplement, take 4 Gummy bears Daily. Chew Thoroughly before swallowing.